An Amtrak Acela train passes near Crescent Crossing, a new affordable housing development in Bridgeport, Conn. July 18, 2017. I’m usually a huge Amtrak fan. But not today. Sure, I love to zip along to Boston at 145 mph on Acela, enjoy a land cruise through the western scenery on “The Southwest Chief” or even poke along for 27 hours from Chicago to New York on “The Cardinal.” If you’re a rail fan, what choice do you have but to take Amtrak? But Amtrak is also responsible for running commuter trains, including two lines in Connecticut. And here they have been failing spectacularly. On Shore Line East, the state Department of Transportation’s rail line between New Haven and New London, Amtrak owns the tracks and is contracted to operate CDOT-owned trains. Due to track work, service in recent months has been abysmal: trains canceled, bus substitutions and a 59 percent on-time record. All of this with inadequate communication with passengers. Service has become so bad, a new commuter coalition has been formed: the Shore Line East Rider Advocacy Group, which met recently with Amtrak and CDOT to air their grievances. As a result, monthly customers will get a free ride for December and Amtrak agreed to cross-honor SLE tickets on its Northeast Corridor trains. That’s a good start. But on Amtrak’s other commuter operation in Connecticut, The Hartford Line, the service’s initial success has been seriously blemished. Use #GettingThereCT to chime in on Facebook and Twitter. Amtrak also owns these tracks, in this case from New Haven to Springfield. 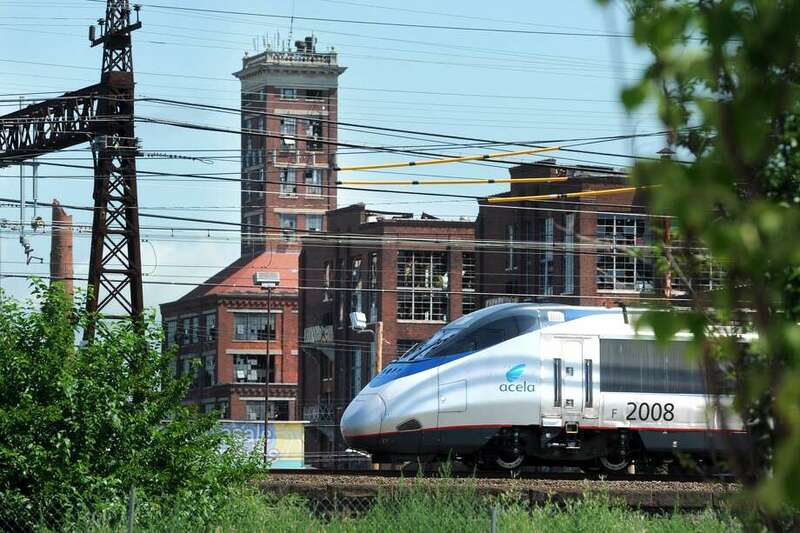 What was once a one-track line where Amtrak carried 750 passengers a day is now a high-speed, two track operation carrying 2,000 passengers — half on Connecticut Rail trains and half on Amtrak equipment. When The Hartford Line debuted in June, the line opened new stations with cheap parking and slashed ticket prices. New Haven to Hartford is just $8 for a 45-minute run. No wonder it’s so popular. And every passenger on that train is potentially one less car on Interstate 91. But Amtrak’s not keeping its end of the bargain. Its trains operate with just two coaches while the Connecticut Rail trains have four. And there are sometimes more passengers than seats, a phenomenon well known to Metro-North riders at rush hour. Case in point, the popular 4:32 p.m. train from Hartford to New Haven. On two occasions in recent weeks, the train was so crowded that conductors kicked passengers off the train. As WNPR reported, the Amtrak conductor singled out Connecticut rail ticketed passengers and students using U-Pass, a statewide transit pass for college students. “That’s not supposed to happen,” DOT Commissioner Jim Redeker said. Connecticut Rail and Amtrak tickets, both issued for the same price, are supposed to be cross-honored on all trains. Adding insult to delayed-arrival-injury, WNPR asked Amtrak to comment on what happened and the railroad said it knew nothing. Clearly, a rogue conductor who didn’t get proper training has embarrassed the railroad and the DOT. Amtrak says it’s not its policy to kick passengers off trains, but WNPR has audio recordings proving it happened. Oops.